Purim is almost here and the celebrations have already started all over the world. The megillah, Megillat Esther, is read in synagogues this Saturday night and Sunday morning, followed by gifts of Mishloach Manot (exchanging food gifts with friends), Matanot L'Evyonim (charitable contributions to the poor,) and Seudat Purim (a festive meal) on Sunday during the daytime. How long would it take to tell the whole Purim story including the historical background, and explain all of the observances associated with this fun holiday? In this video, Avraham Goldhar covers all the bases in record time and clocks in at just over five minutes. As an ordained Rabbi, Avraham Goldhar was a faculty member of the Aish HaTorah College of Jewish Studies in Jerusalem. It was there that he developed and taught Rapid Jewish Literacy Courses in Biblical Literacy, Jewish History and Talmudic Law. In 1996, he became the Educational Director of Aish HaTorah New York, developing and overseeing programming that serviced 13,000 people annually. For over twenty years Rabbi Goldhar has been amazing audiences around the world with his ability to break down and simplify complex subject matter. He makes difficult and overwhelming material easy to learn, remember and apply. We found his presentation interesting and comprehensive, and thought you'd like it, too. We're going to spend the weekend celebrating with our family, so we won't be posting on Sunday. We'll be back Monday with more Jewish humor. 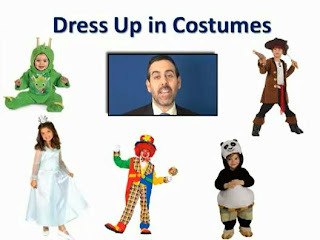 Enjoy the video, and have A Freilichen Purim!